If you are planning to get a budget flagship Asus ZenFone 2 ZE551ML 4GB RAM at a lower price, here is your chance. 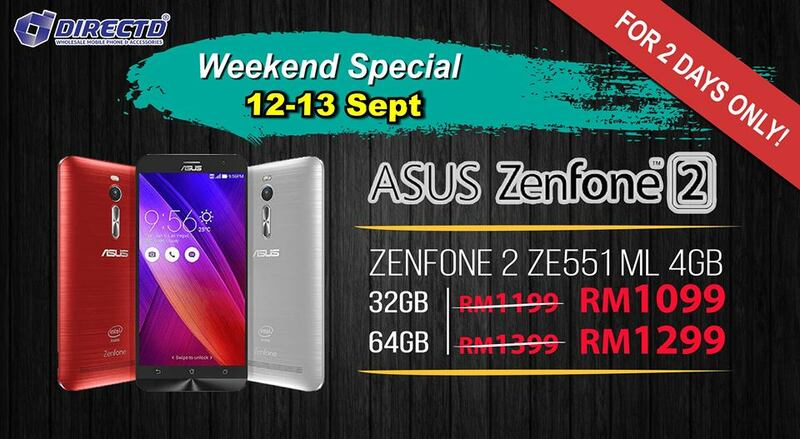 DirectD is having weekend promotion from 12 to 13 September 2015, slashing RM100.00, lesser than the normal price tag of the ZenFone 2 4GB variants. 1 year warranty by Asus Malaysia. 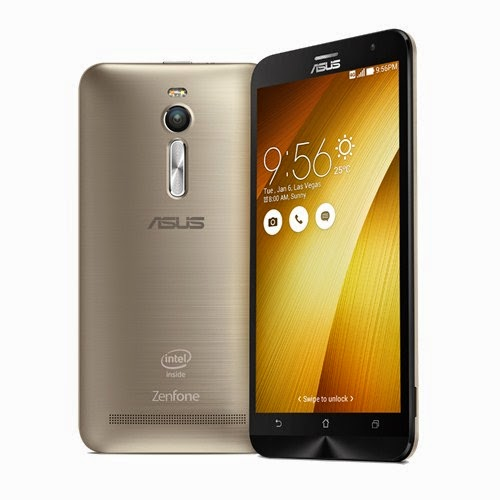 To recap, the Asus ZenFone 2 ZE551ML 4GB RAM variant has a 5.5" 1080p display that comes with 32GB/64GB of storage. It gets a 2.3GHz Intel Atom Z3580 processor, 4GB of RAM, 13MP rear camera, front facing 5MP camera, a decent 3,000mAh battery, fast charging capability and dual-SIMs that support 4G LTE. Consider the factor of the weakening Malaysian Ringgit, I think this is a pretty good deal. If you’re interested, you can head over to the DirectD online store or their store/outlets. Consider the factor of the weakening Malaysian Ringgit, I think this is a pretty good deal. If you’re interested, you can head over to the DirectD online store or their store/outlets.